Start your day off with a delicious breakfast. 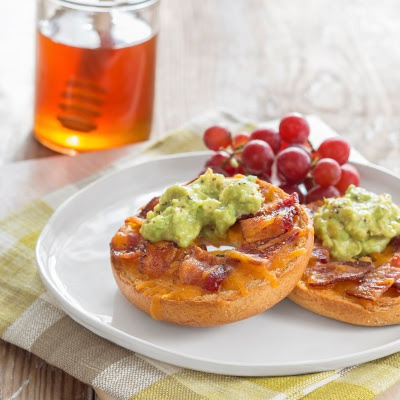 The Bacon Cheddar Avocado Sandwich with Honey recipe will brighten up your morning and help fuel you for the day ahead. Peel and pit the avocado into a small bowl and lightly mash with the honey, lemon, sea salt and pepper. Set aside. Place bagel halves on a sheet pan and drizzle with the honey. Evenly divide the cheese between the bagels and top with the bacon. Cook the bagels until the cheese is melted and bubbly. Remove the bagels from the oven and serve with a spoonful of avocado on each half.